Whether you are working with a builder or subcontracting your own home the decisions can be endless, overwhelm you and slow down the construction process. Why not let someone with a discerning eye for detail guide you in your choices. KDG will assist you in the many choices to be made regarding materials and details. 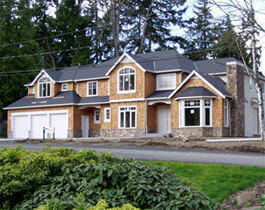 We work with the client, architect, contractor and subcontractors. We can follow each step through the building process or simply help with material selection. KDG looks at the entire home and considers how the finished project will flow and function and when furnished how it will present itself.